Ken Yackel Arena is located in the heart of St. Pauls West Side neighborhood at 44 Isabel St. E, and is one of the numerous 1970's erected Ramsey County Arena's that opened it's door officially in 1973. The arena is a bare-bones "no frills" classic with a small lobby upon entering the rink, and tiny makeshift locker rooms. 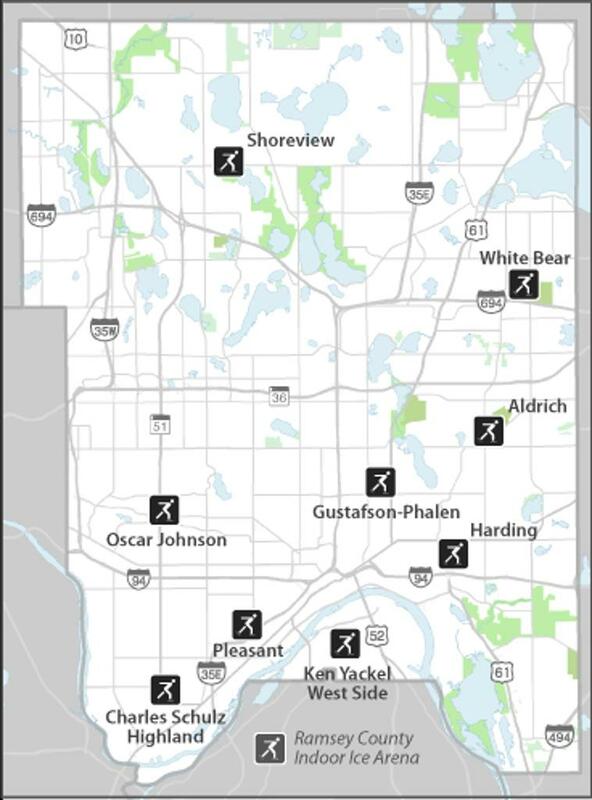 Outwardly, the building shares the same design as White Bear, Pleasant, Biff Adams and Highland Arenas- all erected within Ramsey County during the 1970's. 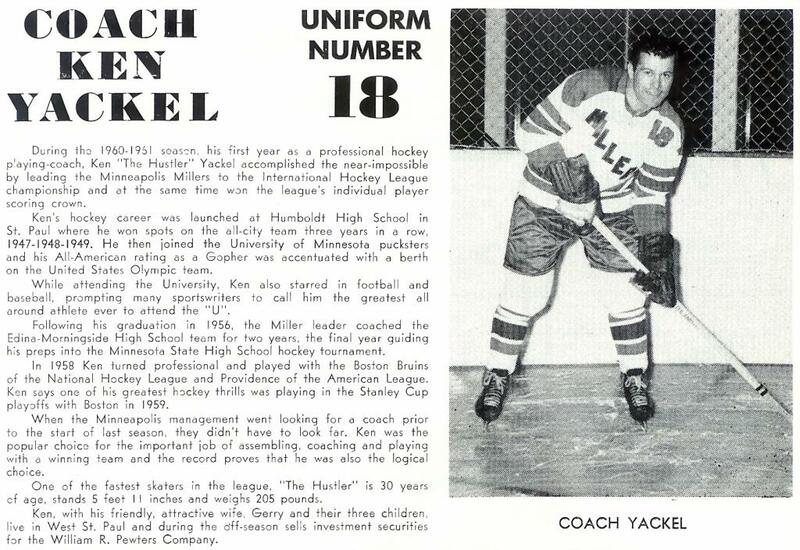 With one regulation ice sheet, and seating for 300, Ken Yackel Arena is named in Memory to Mr. Yackel Sr. whom was a local "West Sider" who starred for the University of Minnesota Gophers, and was a nine letter-winner having played hockey, baseball & football for the Gophers. Upon graduation from the University, Ken played for the 1952 US Olympic Hockey team that captured the Silver Medal in Oslo Norway. After the Olympics Ken tried out for the NHL and played most of his time with the Providence Reds of the AHL, and was called up for 6 games for the Boston Bruins in the 1958-1959 season - with 3 games being in the Stanley Cup Finals playoffs against Toronto. In the 1960's after he was done playing in the NHL he was a player/coach for the Minneapolis Millers where he took several accolades for point totals. After retiring from hockey, Ken became a gym teacher at Edina junior and senior high school. 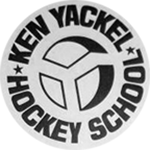 In 1962, Yackel started one of Minnesota's first ever "day hockey schools" with Lefty Smith at the historic Wakota Arena in South St. Paul. 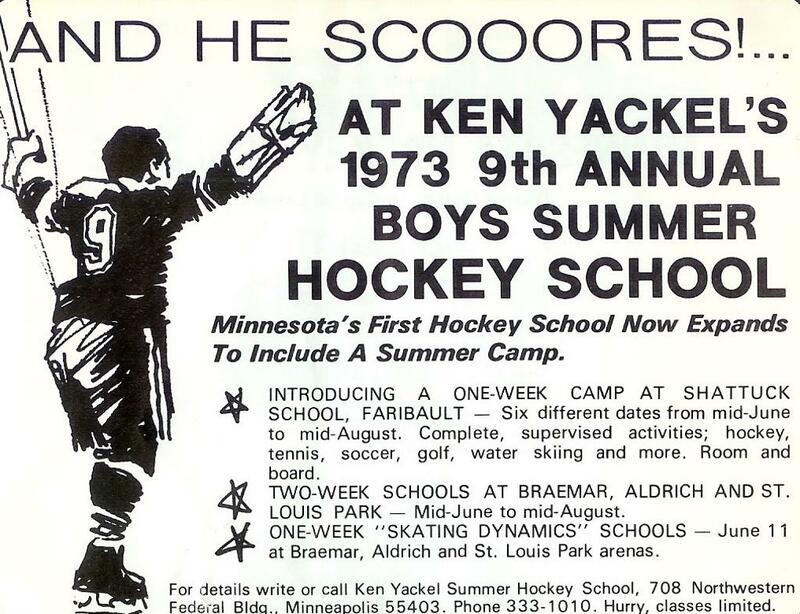 Generations of Minnesota youth players were taught hockey by Ken and his pro-staff including Herb Brooks, Doug Woog and many others. 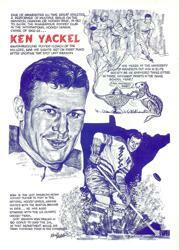 Mr. Yackel Sr. was enshrined in the USHHoF in Eveleth in 1986. 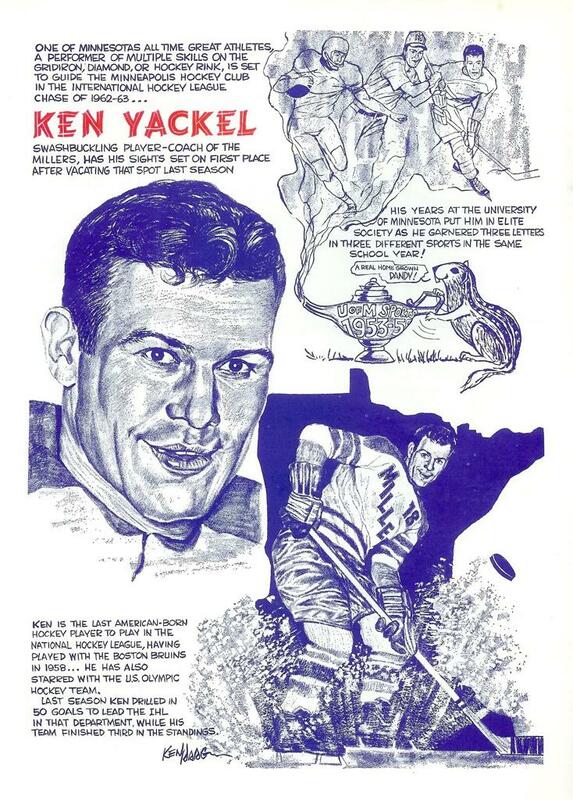 Ken Yackel Arena was dedicated posthumously on June 22, 1993 in memory of this St. Paul legend. "Skate Fast, Shoot Hard - Don't rip the jersey": Ken Yackel Sr.